Click here to read 2019 brochure. Click the links below for details of these fully escorted trips, all with a maximum of 16 clients. Pieve is also available to host private groups. Click the tour links below to take you to the trip pages – and to book online. 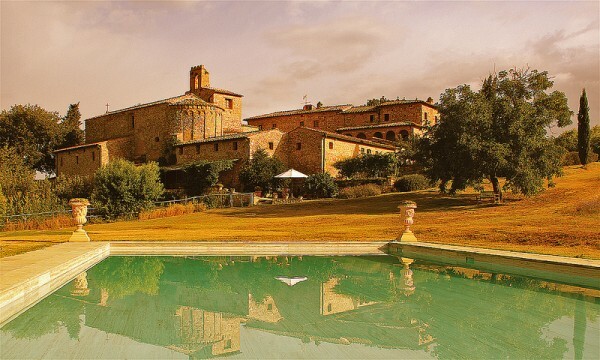 Pieve a Castello, purchased by Christopher Whinney (ATG’s founder) in a derelict state in 1986 and restored over a 20-year period, is situated between Florence and Siena in central Tuscany. It comprises an outstanding complex of 8th century buildings set around a courtyard in idyllic countryside, and has easy access, within a radius of 35 miles, to over 60% of the greatest works of Art in the Western World, besides a glittering galaxy of world-renowned sites such as Etruscan/ Roman Volterra, medieval San Gimignano (‘the medieval Manhattan’), monasteries such as San Galgano, and other equally fine but less known ‘gems’ of ‘Secret Tuscany’. Today ATG welcomes clients on week-long holidays based here. The various highlights of our itineraries notwithstanding, for many people the best part of their visit to Pieve is the unique experience of staying at one of the most important and historic early medieval buildings in central Italy. 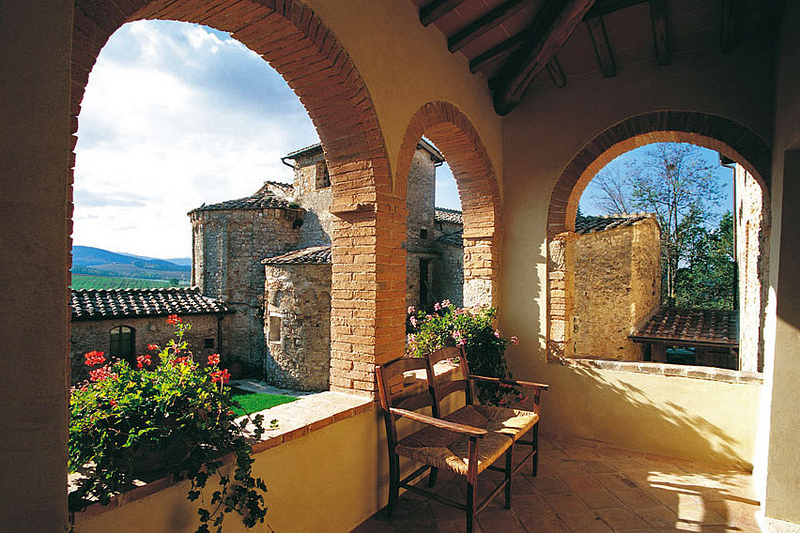 Pieve a Castello provides an opportunity to stay at an architecturally unique historic monument restored to international award-winning standards; with time to visit places of outstanding interests nearby and explore the unspoilt surrounding countryside on foot. You will also enjoy superb Tuscan cuisine and carefully chosen local wines, whilst being looked after by two of our fully trained Tour Consultants and the dedicated Pieve a Castello staff. As with all our Escorted itineraries, ‘everything is included, everything is taken care of’, so you are free to relax and enjoy this unique and magical place. Walking-friendly terrain: Established farm and forest tracks, vineyards and quiet country lanes. Some tarmac on approach to towns. An interesting variety of wines from various areas of Chianti, as well as Vino Nobile di Montepulciano and Brunello. White: Vernaccia di San Gimignano and interesting ‘new whites’ from elsewhere in Tuscany. 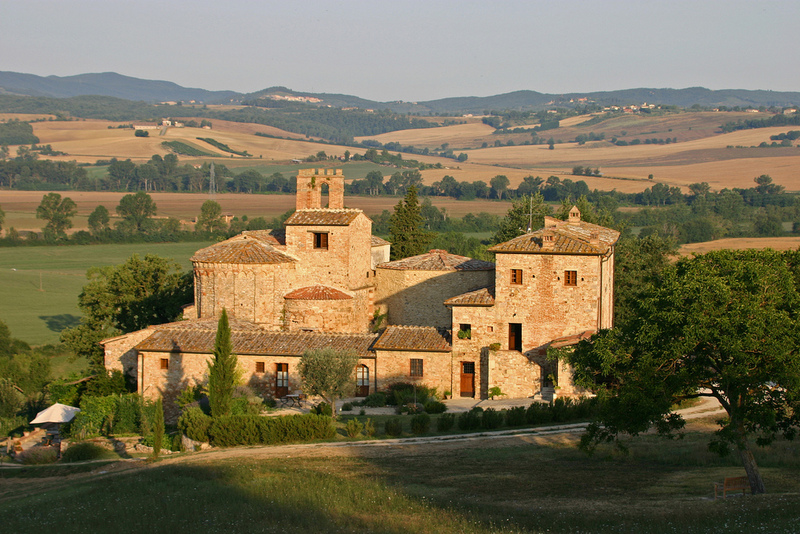 A relaxed ‘house party’ style is consistent across the itineraries based at Pieve a Castello. Click the links below for details of these fully escorted trips, all with a maximum of 16 clients. Pieve is also available to host private groups. Roger Hall, a journalist from the New Zealand Herald, has recently joined one of our ‘Pieve As You Like It’ trips. Take a look at his article about Pieve a Castello which gives you a nice insight into what you would have in store. In 2016 Pieve a Castello applied for a grant from the“Regione Toscana” (Tuscan local government) to part fund installation of solar panels in a discreet area on a bank beyond the swimming pool. The project costs €45000, of which the “Regione” has agreed to contribute €15000. 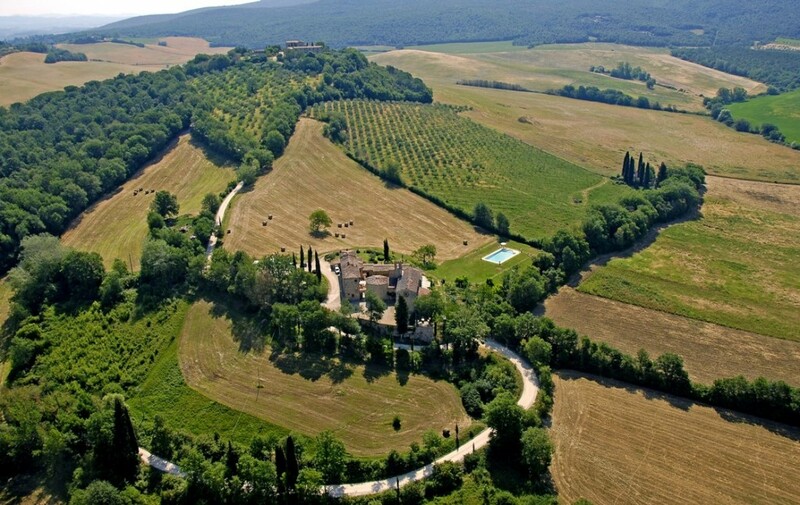 The solar panel project at Pieve a Castello was one of only three such projects approved by the Tuscan “Regione”. The investment means that the hot water and part of the heating will be produced by solar power, dramatically reducing the reliance on fossil fuels. The grant was approved in November 2016, authorisation to progress the project was received in February 2017. Works commenced in November 2017 and were completed in March 2018.